Psychoanalysis as a navigation device for the cultural maze of the twenty-first century. "Can Freud be 'updated' in the twenty-first century, or is he a venerated but outmoded genius?" asks Jerry Aline Flieger. 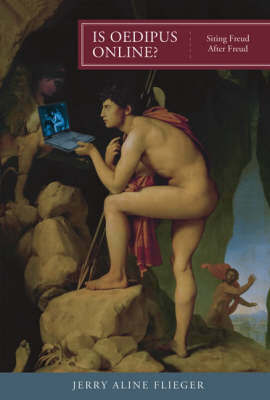 In Is Oedipus Online? Flieger stages an encounter between psychoanalysis and the new century, testing the viability of Freud's theories in light of the emergent realities of our time. Responding to prominent critics of psychoanalysis and approaching our current preoccupations from a Freudian angle, she presents a reading of Freudian theory that coincides with and even clarifies new concepts in science and culture. Fractals, emergence, topological modeling, and other nonlinearities, for example, can be understood in light of both Freud's idea of the symptom as a nodal point and Lacan's concept of networks (rather than sequential cause and effect) that link psychic realities. At the same time, Flieger suggests how emerging paradigms in science and culture may elucidate Freud's cultural theory. Like Slavoj Zizek, editor of the Short Circuits series, Flieger shifts effortlessly from field to field, discussing psychoanalysis, millennial culture, nonlinear science, and the landscape of cyberspace. In the first half of the book, "Re-siting Oedipus," she draws on the work of Lyotard, Zizek, Deleuze, Virilio, Baudrillard, Haraway and others, to refute the assumption of Freud's outdatedness in the new century. Then, in "Freud Sitings in Millennial Theory," she recasts oedipal theory, siting/sighting/citing Freud in a twenty-first-century context. Thinking of Oedipus-decipherer of enigmas, wanderer-as a navigator or search engine allows us to see psychoanalysis as a navigation device for the cultural maze of the "bimillennial" era, and Oedipus himself as a circuit of intersubjective processes by which we become human. For humanity-still needed in the "posthuman" century-is at the core of Freud's theory: "Reading Freud today," Flieger writes, "reminds us of the complications of the Sphinx's riddle, the enigma that Oedipus only thought he solved: the question of what it is to be human. Psychoanalysis continues to pose that question at the crossroads between instincts and their vicissitudes."